Mr. Andersson is the founding and senior partner of Leake & Andersson, and received his undergraduate education at LSU in Baton Rouge and his law degree from Tulane Law School in New Orleans. He has pursued an active litigation and commercial practice throughout Louisiana, with emphasis in casualty and insurance defense litigation, products liability and professional malpractice defense. He has written and lectured for various defense organizations, and is retained as an expert witness in legal malpractice issues.A member of the New Orleans and Louisiana Bars, he has served as President of the Louisiana Association of Defense Counsel, and as two-year Chairman of the American Law Firm Association (now ALFA International), the largest international network of independent defense and commercial law firms.He is a member of numerous legal and professional societies in the United States and internationally.Mr. Andersson has been listed for over ten years in The Best Lawyers in America, and is included in Louisiana Superlawyers. In 2009, he was listed as one of only 50 Louisiana “Leaders in Law”. 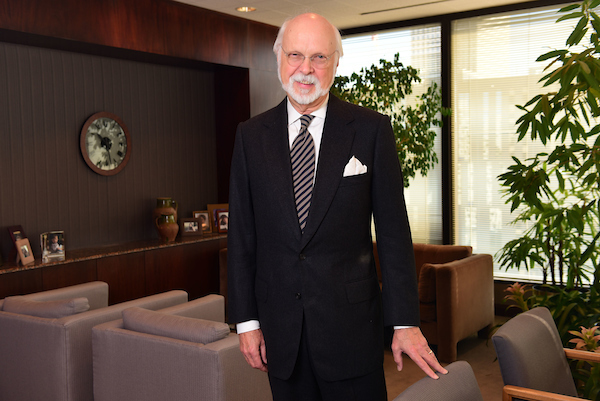 Mr. Andersson has been selected for inclusion in the 20th Edition of The Best Lawyers in America in the practice areas of Legal Malpractice Law – Defendants and Personal Injury Litigation – Defendants.In 1999, he was appointed Honorary Consul for the State of Louisiana by the German Federal Republic and served in that position for 17 years. In 2016, the Federal Republic bestowed upon Mr. Andersson the Medal of Merit for his years service.